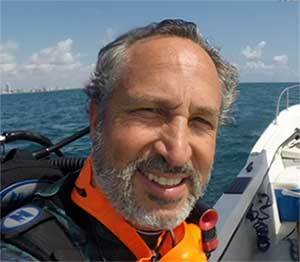 Please see the bio for Arie Derzavich, PADI and IDC Staff Instructor. Arie is looking forward to meeting and being your dive instructor. My name is Arie Derzavich, I started diving when I was 18 years old, I have been a diving instructor for 19 years and was awarded as an Elite instructor for the past two years. Today I am a PADI IDC STAFF INSTRUCTOR. My passion is creating the possibility to help others achieve their dreams like scuba diving. Scuba diving has always been a passion for me and to be able to share it with other people makes it even better. I love to dive with sharks, crocodiles, gators, stingrays and pilot whales. Diving in Ft.Lauderdale and Miami has allowed me discover the beauty of shipwrecks all along the coast and also the vast amount of reefs. Some of my favorite places of the world to dive are Indonesia, Australia, Israel, Thailand, Belize, Honduras, Mexico and all over the Bahamas. See you in the deep!